Starting from Tuy Hoa, passing Hung Vuong bridge and we arrive at the coastline of Phuoc Tan – Nga Beach. From here we will go through Ro hamlet path covered with green reeds. To Lam Beach and Goc Beach, the wide beach scenery will bring to us many fascinating feeling. Continue alongwith 29 National Highway, we will get to East pole of Dien Cape, Dai Lanh lighthouse and Mon Beach. For adventurous travelers, the experience of camping at night on this wonderful beach. Here, there is a freshwater river flows from the mountain to the sea, which can provide you water to cook and have a seafood BBQ party while watching the sunrise from horizon. After stopping at Dien Cape, still on that path, we go to Vung Ro Bay and Khong So ship ruins. Going through Ca Pass, we will have an entire view of the bay from the height of 300 meters compared to water level. All Vung Ro Bay appears before us, astounishes us with its picturesque beauty. Besides romantic scenery, Vung Ro Bay also has many seafood services on boat with seafood provided by fishermen themselves and prepared right in place with surprisingly cheap price. Located 16 kilometers away from Tuy Hoa city, Ganh Ba with Xep Beach almost has a seperated location. Behold the magnificient sight, especially for those who first come here will be surprised by the harmonic combination between mountains and the great sea. Not only that, if you come to Ganh Ba during windy days, you can witness the ‘dance’ of the sea with thousands of white waves along the coastline, creating an unforgetable impression. But, beware of the castuses with tons of thorns. Leaving Xep Beach, Ganh Ba, just run a bit more along the coastline and you will arrive at Hon Yen – Hon Sun island, Phu Thuong Beach. From Nhon Hoi hamlet, you will see the two small islands lie next to each other, 100 meters away from the land. The large island with the look like a giant cap with steep slope is called as Hon Yen, and smaller one is called as Hon Sun. During the low tide, a path through the sea will appear, connecting Hon Yen and Hon Sun. The special trait of this area is Phu Thuong Beach – Ganh Yen reside on the left side. This is a beautiful beach with depth-clear water and white sand. You can stop at Ô Loan, enjoying the famous clams of this land. On this route, surely you cannot miss tourism spot with famous Ganh Da Dia và Ganh Den lighthouse. 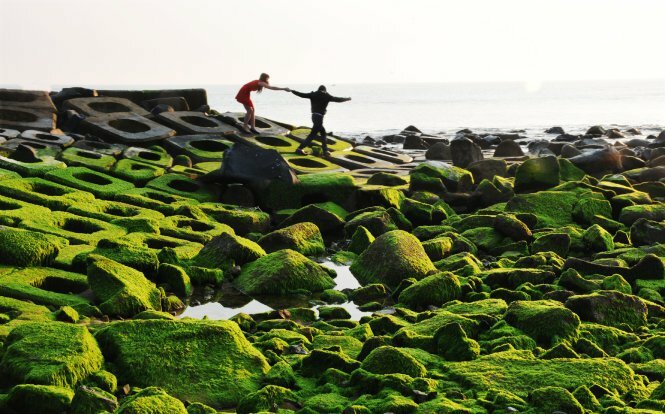 From afar, Ganh Da Dia looks like a giant beehive with 50-meter width and 200-meter length, comprises of prism-form rocks situate next to each other, lean toward the sea. 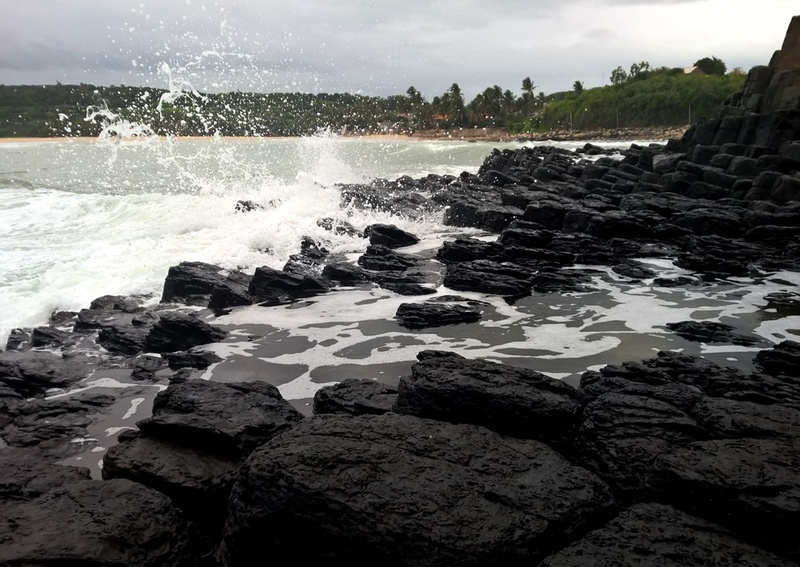 The rock formation with thousands, thousands of those rock splinters, glittering the mysterious black color among blue sea and white waves. Located not far from Ganh Da Dia is Ganh Den lighthouse, though there aren’t much people visit but its sight is also just as magnificient. If possible, let’s visit Mang Lang church, Ong Cop wooden bridge, and Tam Giang dam. Throughout the roads in Phu Yen, if not mountains and sea that we’re seeing then thing we see the most is vast rice field along with herds of ox eating grasses. Hire a motorbike and discover a different Phu Yen with Van Hoa highland. Lies on the height of 400 meters, the highland is full of sunlights, winds, and fogs. The interesting fact about this place is that during Autumn, the atmosphere degree is always lower than in Tuy Hoa. In every morning, fog covers the surface of Phan Stream, Phen Stream. During Winter, rain paints a white color on every corner. Due to this very reason, the highland is considered as a Dalat of Phu Yen. 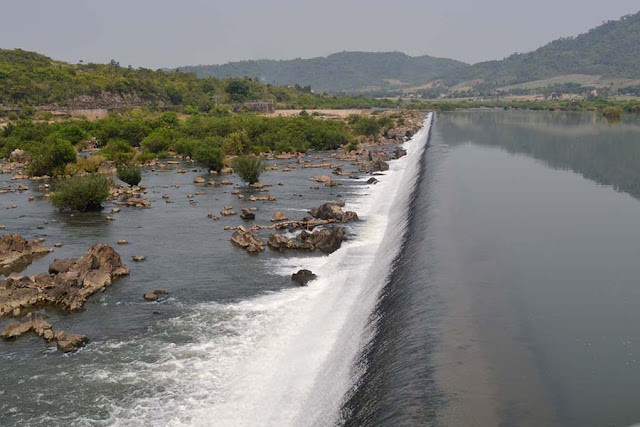 This route also leads you through Dong Cam dam – the largest and most beautiful dam of Phu Yen province. With the height of 688 meters, connecting Tru Cat hill and Qui Hau mountain, Dong Cam dam is the building of high value in both artistic and technical. The dam is meaningful for its economical aspect, historical aspect, combines with gorgeous scenery, special architecture. On the way back to Tuy Hoa, you will encounter Hoa Thang rock formation. From afar, the place looks like the spine of a great dinosaur. There are ridges, pillars rise up to the blue sky. All look like covering, forming the fortress surrounding the rice field of My Hoa hamlet. To the locals, it’s like a great ‘miniature landscape’ among the rice field. The best time to watch the place to its fullest beauty is during early morning. When the early fog still on the leaf, Hoa Thang rock formation looms among the fog, creates a miraculous sight. Normally when going this route, you should start from Quy Nhon. This is because in Quy Nhon city you can hire a motorbike, easier than hiring in Song Cau town. Leaving Quy Nhon on National Highway 1D, you will be immediately surprised by many beaches next to each other like Bang Beach, Bau Beach, Rạng Beach… From above, you can look down at Xuan Hai fishing hamlet, looming behind coconut leaves. 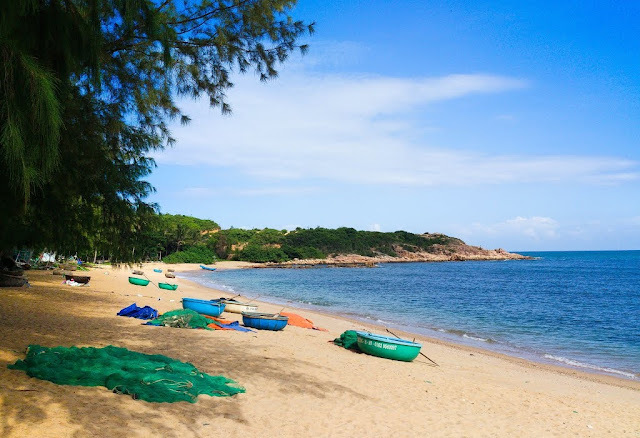 As you continue to Phu Yen province territory, to Vinh Cuu peninsula, you will arrive at the most beautiful beaches in Phu Yen such as Tram Beach, Nom Beach, or Om Beach. All of these areas don’t have much tourism services, so you can pleasantly enjoy the wild natural beauties. Near Song Cau township, you will be continued one more time with the beauty of Xuan Dai Cape. This is a pure elegant cape. Three sides of Xuan Dai Cape are mountain trails cover and lean far toward the sea. The rock layer interacts with the sea surface is abrased by waves, forming many unique shapes. Everyone come here the first time is always shocked before the romantic natural scenery. This route also brings you to the only Phu Yen’s underwater pathway. Nhat Tu Son, or Hon Cong, connects with land via sand dunes under the sea. The sand dunes path only appears during the low tide, allows travelers to easily walk to the island. The distance is about 300 meters so you absolutely can walk or paddle on the sand dunes to the island, depend on different time in the day. Based on Lunar Calendar, from day 1 to day 15 every month, water level will decrease at the afternoon. While from day 15 to last day of the month, water level will decrease at the morning instead. During the time of highest water level, the water will only cover from adult’s belt area so you can assure when paddle through here.